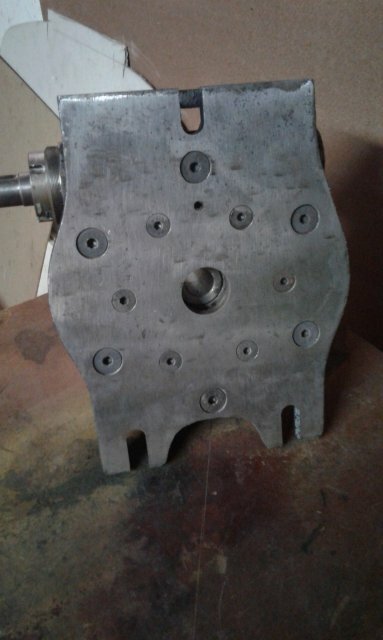 Recently my dad got a milling machine, as some of you might know. 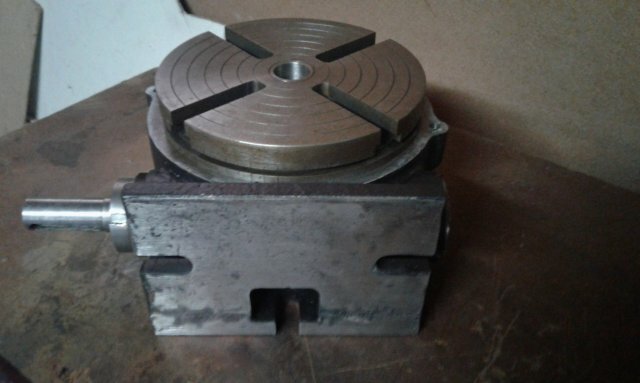 I made a few things on the milling machine now and decided to make some tooling for the milling machine I started on it yesterday and I'm almost finished with the top table. We had some large piece of metal that my dad salvaged from a huge grease pot, that we thought was just some plain old mild steel, until yesterday We found out it is cast iron. 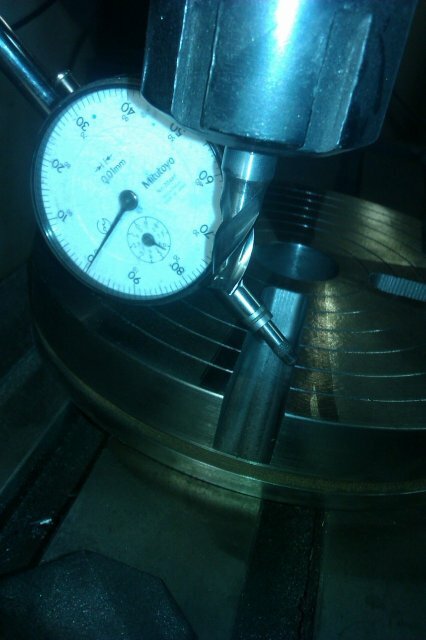 It couldn't fit in the lathe chuck so we had to depend on friction. 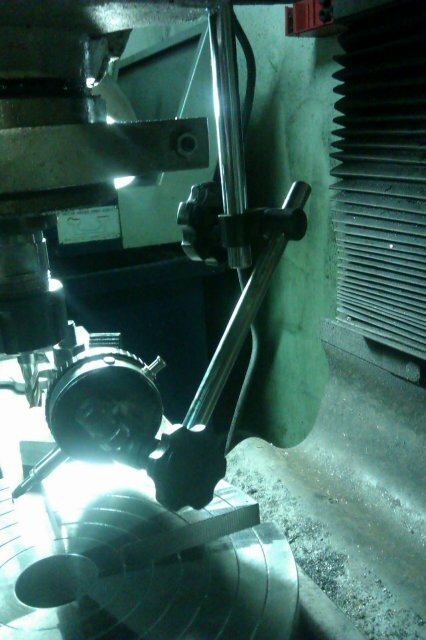 Using the tailstock with a centre to hold it agianst the chuck so that I can turn it to fit the chuck. The CI turns and mills like butter. 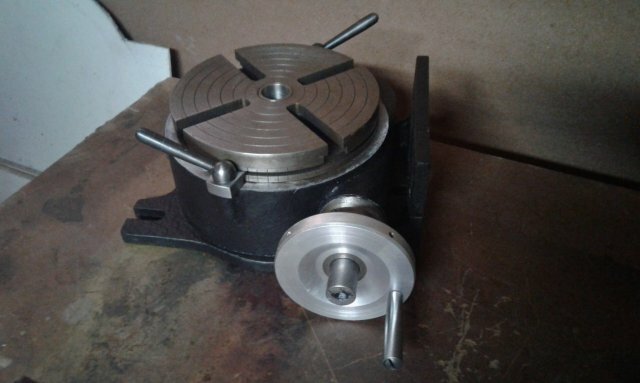 I could mill away 5mm with one pass with a steady feed. It takes about 10 minutes to cut one slot, eccept the first one, it took me nearly 1 hour. We have a Toolquip and Allied here and I now get most of my tools there. They are quite expensive, but if a tool's expensive , it lasts. 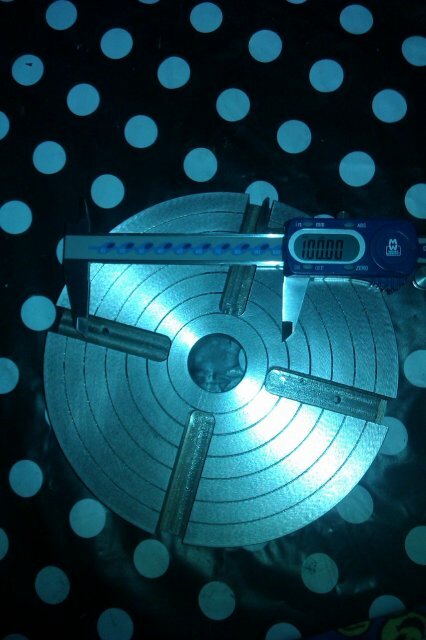 We bought a 21mm T-slot cutter for R480 with discount, still in it's case. I just don't want to be working with the cutter when something happens. A very impressive start to this project. 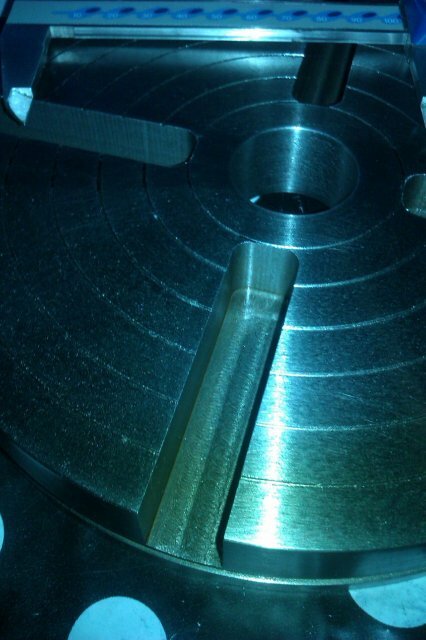 That cutter should be a good one, take the cuts steadily and you'll be happy. But at what speed should I cut the slot? Will I be able to cut it dry like I had cut in the starter slots? My dad got all the stock, well almost all the stock, that we need. The body of the table is so to say finished, just need to cut in the slot for the worm gear. I will update some pics tomorrow when we have done a bit more work on it. Keep it up Marinus. Looking forward for some photos of your progress. 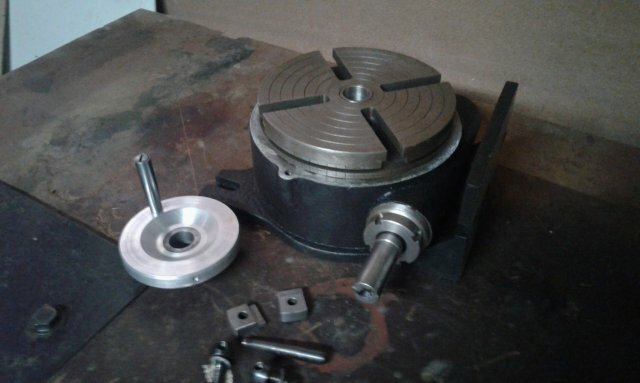 Quite some time has passed since the last time I posted here..
Well the rotary table got "finished" just a few days ago.. just need to take everything apart and get some paint on. I will take some photos when its apart so that you can see all the working parts and so on. The whole thing ways a ton! Well not really, but a bit heavy to move around. 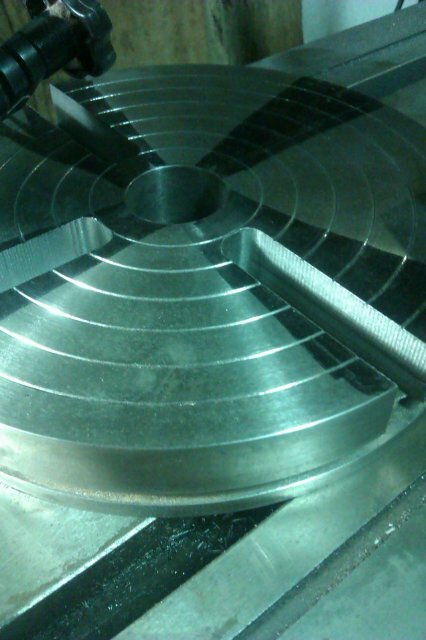 Congrats Marinus on finishing the rotary table. 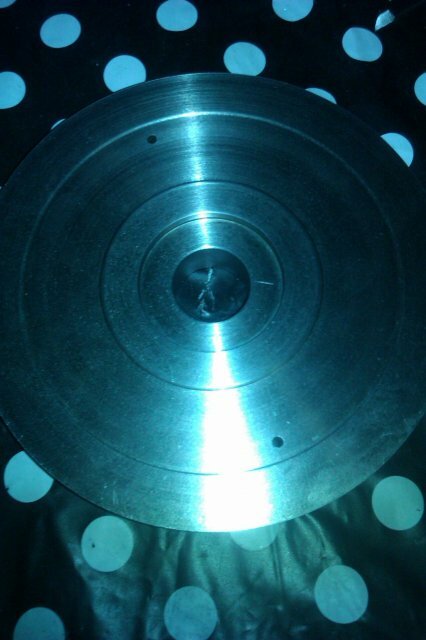 Here's some photos of the completed rotary table. I didn't take an pics of the gears inside as it has already been sealed with silicone sealant. 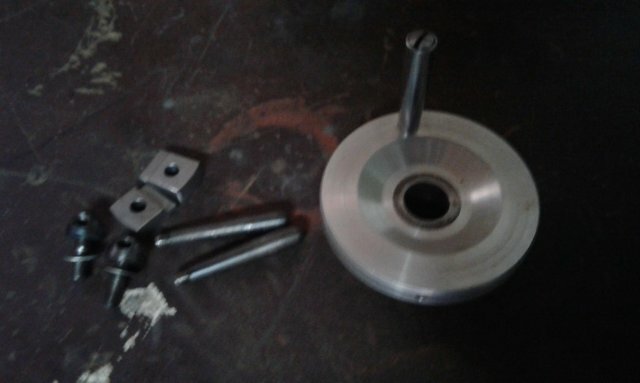 It has a 60 tooth bronze gear supported by two bearings, one at the top and one on the bottom cover. 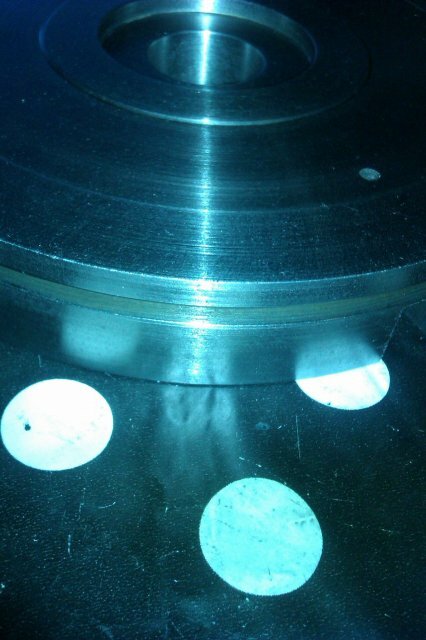 The center has been cut for MT3 tapers. The base is made up of 12 mm mild steel plate and welded to the base for vertical mounting. It was then cleaned and got a coat of MS- primer and black stone chip.